The year is new, and the 2017 Toyota Highlander is sporting some cool new upgrades with performance package additions and cosmetic changes that demand attention. Toyota decided it was time for the Highlander to get a power boost, so they added a new engine and powertrain that is designed to take this part truck, part family vehicle to the next level. It gives you a much sportier ride while never losing its family appeal. Maybe not as exciting as a sports car, but surely not a lumbering SUV, either. 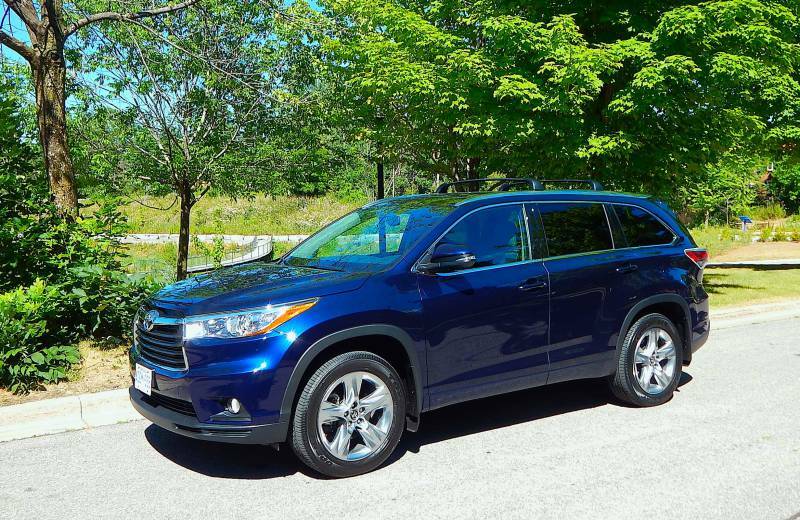 Across the models, the 2017 Toyota Highlander has been equipped with a D-4S 3.5-litre 6-cylinger engine with dual overhead cams and variable valve timing with intelligence (VVT-i). The VVT-I alters the timing of the valve in order to improve the performance and mileage. Another improvement in the efficiency lies in the direct-injected 3.5-litre V-6 that delivers 295 kW of horsepower at 6,600 RPMs, which gives you around 11.8 to 12.1 on the city streets, 8.7 to 9.0 on the highway and 10.3 to 10.6 combined depending upon which model you choose. This engine paired with the direct-shift 8-speed automatic transmission creates a driving package that is both powerful and fun. Built on a suspension that is designed for performance makes the Highlander feel more like a sports car than a 2,600kg plus SUV with the towing capacity of 2,268kg. It comes in FWD and AWD models. On the cosmetic side, the new 2017 Highlander got a new upper and lower grille design that lets everyone on the road know that this vehicle means business. Aggressive styling of the front continues through the 18-inch alloy wheels on all models but the Limited V6 AWD where you’ll find 19-inch black chrome alloy wheels to the rear spoiler that is standard across all models. Optional equipment includes a moonroof and panoramic windows that take sightseeing to another level all together. Not all of the new features lie under the hood; the Highlander was given some new interior upgrades, as well. Still capable of seating at least five, the Highlander now lets you add a bench rear seat to some models to increase your seating to eight. 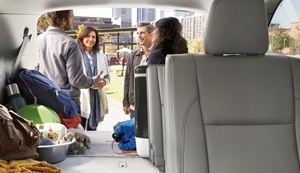 The rear seat splits 60/40 so you can put your cargo in without losing all of your seating. The new SE AWD package heats up the front seats and the second row captain chairs for a nice comfortable ride on cold winter days. Climate control is not an issue in the Highlander because some of the models offer three zones of climate control, so that everyone can find a temperature that they like. A jam proof liftgate on some models can be operated by remote control, and that makes it so much easier if you are carrying a handful of groceries. You can also flip up the rear window instead if you prefer. An available Tonneau cover will keep all of your cargo out of sight. These are just a few of the new features on the 2017 Toyota Highlander. In order to see more and test drive it, stop by and see us today. We’ll be happy to show you all the new features and more.